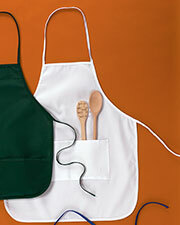 Aprons are a must-have for chefs, cooks, and aspiring cooks of all sizes, genders, and ages. 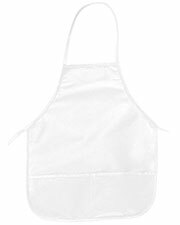 They are meant not only to protect your clothes from any messes you may make in the kitchen, but, also, to protect you from any possibly dangerous ingredients, and to keep all cooking activities relatively tidy and hygienic. 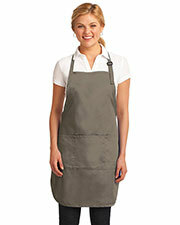 Gotapparel.com has a large collection of different, high quality aprons, manufactured from the finest, most hygienic materials by top brands like Bayside, Big Accessories and UltraClub, in a number of styles and colors, which you can browse and pick your ideal apron at a wholesale price, so you can start your cooking adventures whenever you’d like. 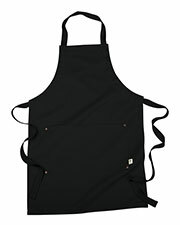 While there are several kinds of aprons including adjustable, half-aprons, and with or without straps that you can easily find at the local store, not all aprons are the same quality, and having a good quality, durable apron definitely shows that you are serious about cooking. 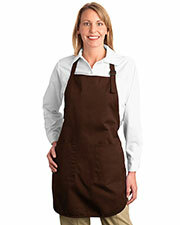 Our aprons are great choices for individuals, as well as, great options as uniforms for restaurant cooking staff. 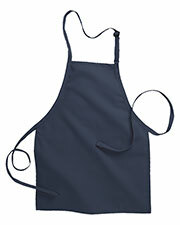 Whether you are looking for an apron for your own personal use in your home kitchen or to outfit the cooking staff of a commercial kitchen, we have a wide selection of aprons for you to choose. 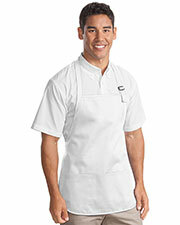 Check out our other workwear options, such as chef wear and long sleeve work shirts. 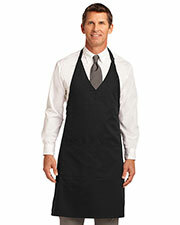 First, I should let you know that I'm 6'3", and this apron almost goes down to my knees. Which is great for me, but maybe not for you, depending on your height.Good durable material, not especially soft, but not too scratchy. 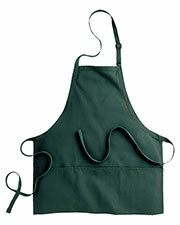 I just purchased a second one.Previously, I'd bought a Chef Works Butcher's Apron, model (F8), and did not like it. 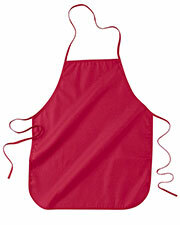 Too scratchy on my neck, and I didn't like how the pockets were mostly stitched in the middle of the apron. 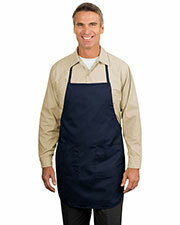 I'm sending that one back.This Port Authority Apron is better. 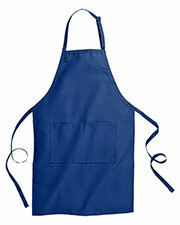 I'm using it for cooking, and will likely wear it while working on art projects. 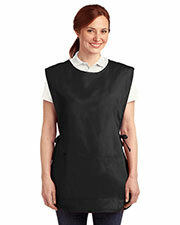 I am a woman, but couldn't find a sleeveless shirt I liked in women's clothing on Amazon. 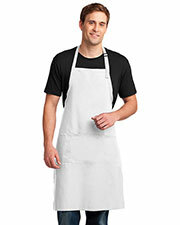 So I bought Gildan's men's ";medium"; and it fits well; I am 5'8"; and normally take women's size 14-16. 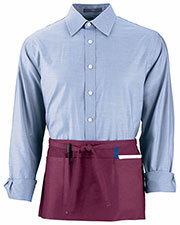 I love the cotton fabric. 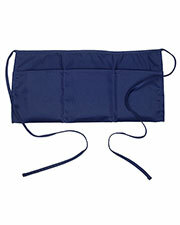 The arm holes are a little bit on the large side, but not too large to wear. 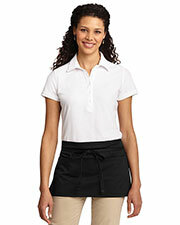 The neckline is high, so you're not falling out of your shirt whenever you lean forward. 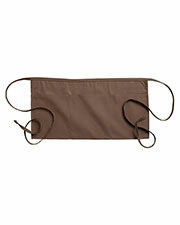 I use this for bicycling or whatever kind of exercise, and also as a base layer to wear under long-sleeved shirts for work, so I can peel down later when the weather warms up. 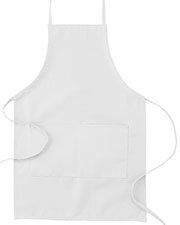 I hate shopping at the store and I went through a billion women's work-out shirts on Amazon, but they're all either too low-cut or made of the wrong fabric. 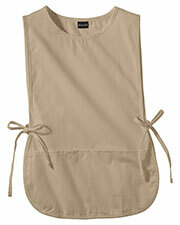 So I bought five of these (one for each day of the week) and I'm happy that I did.